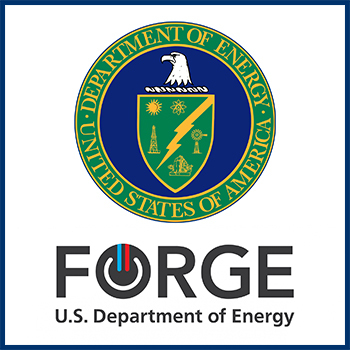 Professor Ahmad Ghassemi represents the University of Oklahoma as a Utah FORGE partner. He leads the Reservoir Geomechanics and Seismicity Research (RGSR) Group, which investigates reservoir geomechanics in geothermal and petroleum systems. He is part of the Mewbourne School of Petroleum and Geological Engineering at the University of Oklahoma (OU), which is rated among the top petroleum engineering programs in the nation, and it has had a large impact in research and development since the late 1980’s. Today, the program is recognized for its world-class experimental and numerical modeling infrastructures, which has important applications for geothermal research and development of EGS-type reservoirs. This research is conducted in partnership with the geothermal industry, and in collaboration with the National Laboratories. 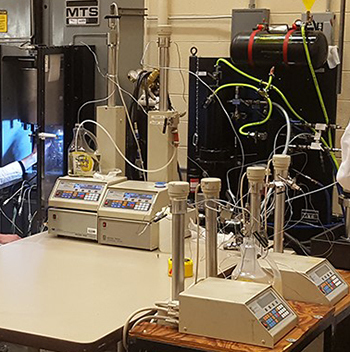 Professor Ghassemi’s research at Utah FORGE addresses reservoir characterization, hydraulic fracturing design, diagnostic fracture induced testing (DFIT) in fracture rock, and other stress in-situ stress determination methods. 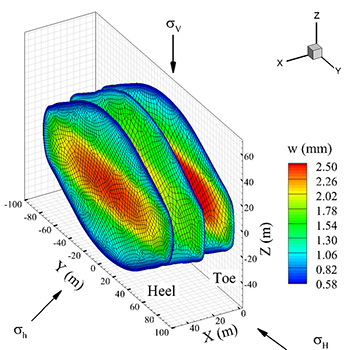 In addition to providing experimental expertise to assess rock and fracture characteristics, and the potential impact of shear and mixed-mode stimulation, we contribute to stimulation design optimization using the GeoFrac family of thermo-poromechanical hydraulic fracturing and fracture network models that have been developed for large-scale studies. The 2D version of GeoFrac considers rock anisotropy and natural fractures including their slip and propagation to form a network. The 3D version called GeoFeac3D incorporates rock heterogeneity and non-linearity, allows for poroelasticity, thermoelasticity, and mixed-mode propagation, and can be used to model multiple hydraulic fractures involving proppant transport and heat extraction. These will be used to help future stimulation design at FORGE. The RGSR group has a world-class rock mechanics facility consisting of a number of MTS Material Testing Systems, 3 Polyaxial Testing units, 1 TTK Triaxial Test System, 1 Creep Test System, 1 API Fracturing Conductivity Test System, 3D laser Scanning System, etc. 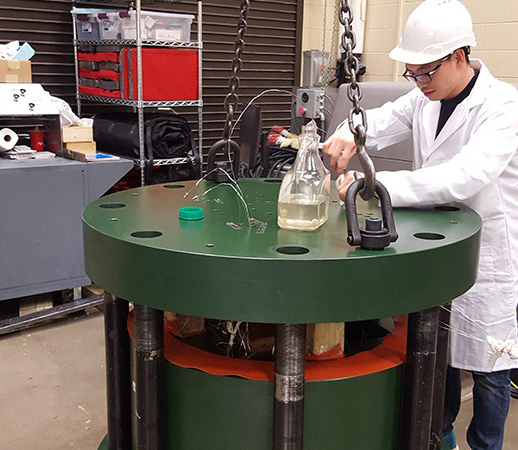 In addition to conventional rock mechanics testing such as uniaxial/triaxial compressive, static/dynamic, tensile strength, AE monitoring, hardness, fracture conductivity, advanced/novel rock mechanics tests are used to evaluate large-scale hydraulic fracturing under true triaxial conditions, tracer performance, high temperature and high pressure effects, triaxial shear, direct shear, and fracture propagation and coalescence. Currently, there are nine graduate students and two post-docs involved in the modeling and experimental work in the group.